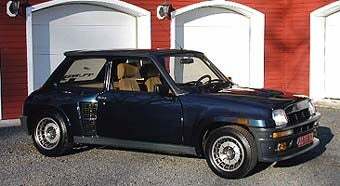 Nice Price Or Crack Pipe: $39,500 For A 1984 Renault R5 Turbo? We're on a four-straight Crack Pipe roll, with 68% of you directing the $37,995 Ferrari Mondial to take its sorry self to Booth Number Two. Will today's car be the one to break the streak? Nice Price Or Crack Pipe: 5,944-Mile Ferrari Mondia Cabriolet For $37,995? If you don't think the Renault 5 Turbo is one of the most awesome factory hot rods ever made, you need to reevaluate your automotive priorities ASAP! To build this rally monster, Renault ditched the front-wheel-drive setup normally found in the 5 and replaced it with a turbocharged engine mounted behind the driver and delivering totally unreasonable amounts of power to the rear wheels. The few hundred street-legal units sold for homologation purposes had 185 horsepower, and they sold for $22,500 in 1984. That's about $46,000 in 2009 dollars, so how much is a very nice 34,000-mile example worth today? Would you pay $39,500 for one? Nearly 40 grand for a low-mile Renault R5 Turbo?